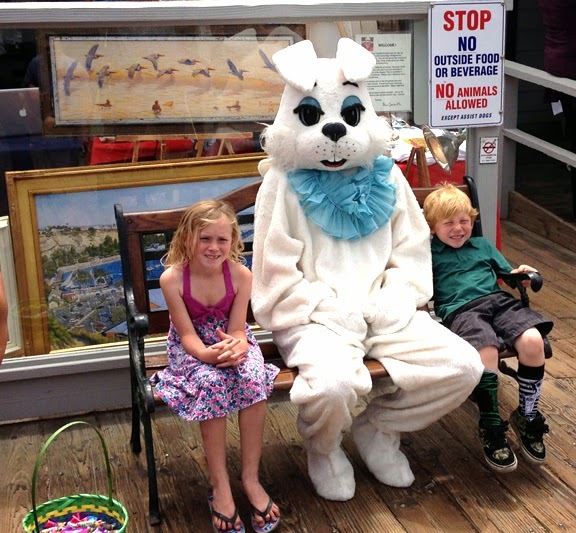 Get your pictures taken with the Easter Bunny at the Fisherman's Restaurant on the San Clemente Pier until 2:00 today. People having a very good time; kids pretty exited. Come down in your Easter Best. 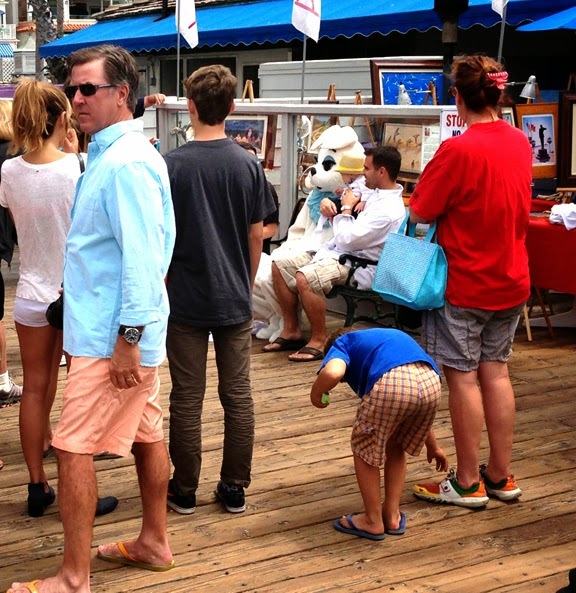 Bring your little ones - or just yourself and have a funny Bunny moment. Nice art in the back!